Tonight... 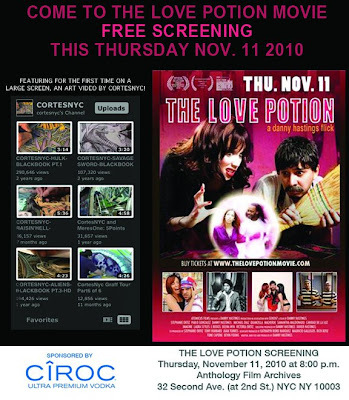 I'm going to the fundraiser for The Love Potion. It's a free screening at the Anthology Film Archives: 32 second ave (at 2nd st). As a special bonus you'll get to see a video reel I put together on the big screen!